We have completed our traditional tales based on Jim and the Beanstalk and some children were so inspired that they wrote three pages! Next term our English lessons will feature non-fiction writing all about explorers and travelling to parts of the world as well as many personal recounts. 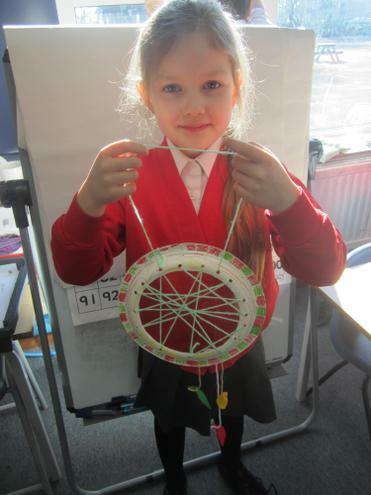 In maths the children measured objects using either rulers, metre sticks or metre wheels. We also learnt about direction and position following instructions around a treasure map and writing our own directions. Next term we will secure our learning about time and revisit addition and subtraction within problem solving. Keep working on the Times Tables Rock stars site, its really improving their knowledge and rapid recall of multiplication and division facts. Year 2 have sequenced the life cycle of a sunflower and are hoping to plant some after the Easter break to watch them grow. We are very excited about the trip to the Science Centre during the first week back and will be learning about structures, bridges and materials. We have almost finished the puppets and the children are being very patient waiting their turn. 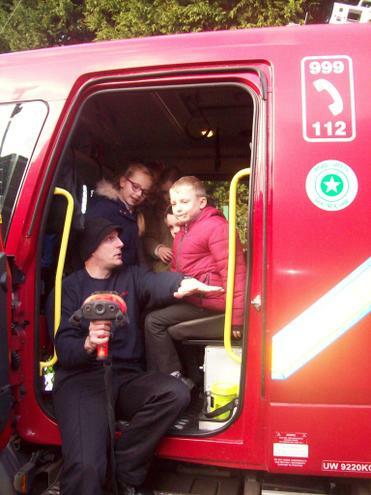 We thank the voluntary helpers who have given up their afternoons to support this activity. 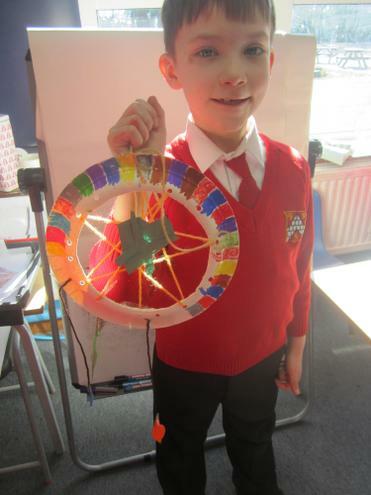 Next term the new topic is entitled “We are Explorers” and will begin by ‘flying’ around the world. Our role play area will be an airport environment and we will be identifying continents, oceans and countries. If you have any experience to share about travelling or if you have worked in the travel industry please let us know. 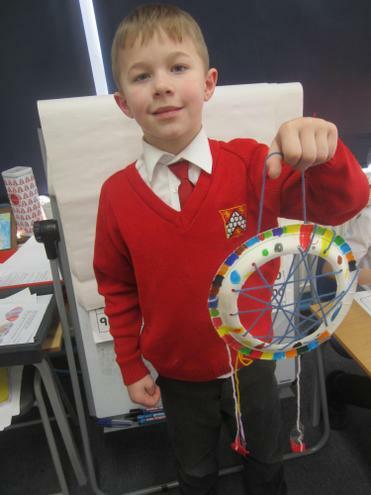 This week we have continued making our puppets and are very proud of the results. We can’t wait to publish the photographs and our evaluation of how well we have carried out our design brief. 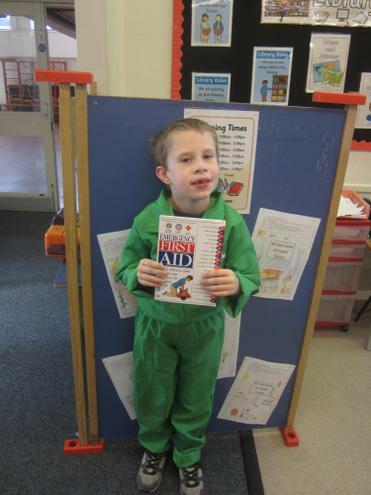 In English this week the children have continued to create a narrative based on Jim and the Beanstalk. They have tried to use words with suffixes in them such as –ment, -ness, - ful to enrich their vocabulary and make their descriptions interesting to the reader. In grammar they have learnt about the four different types of sentences, commands, statements, questions and exclamations. Exclamations are the ones that start with the words ‘What’ or ‘How’, although authors do use them in different ways which is quite confusing sometimes. Please discuss this with your children if they come across an exclamation while they are reading. The children have begun learning about measures, particularly length and height. They have used centimetres and metres and talked about when these are most appropriate. We have also been practicing for the forthcoming SATs and revising all the topics learnt so far. The children have been out in the school grounds investigating signs of spring and enjoyed using tape measures to discover the circumference of a tree trunk. They have also labelled the parts of a flower and a tree. Year 2 will be visiting the Herstmonceux Science Centre on Thursday 25th April. Please ensure that you have paid for this on parent pay by Thursday 4th April. We have continued to enjoy reading our traditional tales, concentrating on two similar stories Jack and the Beanstalk and Jim and the Beanstalk. 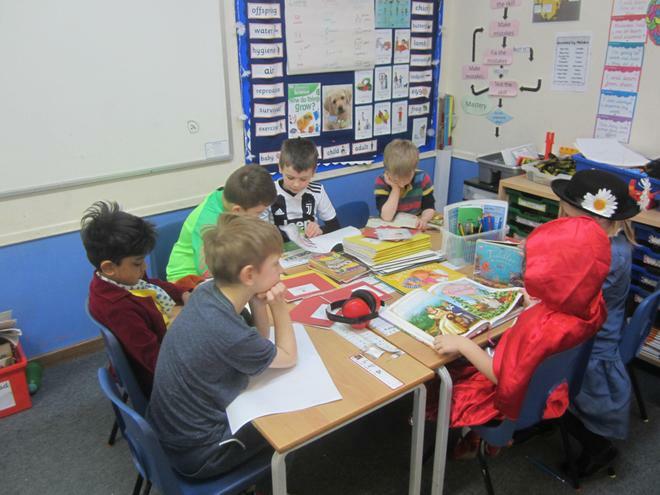 The children have created characters and this week they wrote a setting description after they had mind mapped expanded noun phrases (please see the photos). You can help your child by discussing characters and settings in the books that they are reading or sharing traditional tales with them. In maths the children have completed their learning on fractions and money. Please continue their learning by asking them to find fractions of amounts, even with money. Asking questions such as “What is half of 50p?”, “What is a quarter of 20p?” will help them to understand the context of fractions in real life. We will be working through some practice SATs papers over the next week and beginning our learning about measures. Year 2 have discussed what they already know about plants and growing and have set questions to investigate such as “why do flowers come in so many different colours?” “What is the tallest plant in the world”. This week we have learnt about the parts of flowers and trees, observing, drawing and labelling them. Thank you to all parents who have helped with the puppet making. The children have now designed their fairy tale character and some have begun to sew on the embellishments. However, we still have many more to complete so if you are able to give up any afternoon to support them with this we would be very grateful. We are also going to find some time during a Wednesday morning aiming to complete the topic by the end of Term 4, please speak to your class teacher if you have some spare time to offer us. The children have completed their sponsored run for the NSPCC and managed many laps of the playground within the 10 minutes duration. Many thanks for those of you who have returned the form already. Please can all monies be sent in as soon as possible as the there will be a winning class for the highest amount raised. This week there was much excitement as we practiced our sewing skills in order to make a hand puppet. The children were supported by parents and voluntary helpers to have a go at running stitch using binka and are beginning to design their finished product. Please do come and help out if you have some spare time on Tuesday afternoons for the next three weeks. In English this week the children have compared the characters of Jack and Jim in two contrasting re-tellings of the fairy story. They have begun work on creating their own character for their retelling, with sketches and descriptive paragraphs. In grammar they are learning about the possessive apostrophe as they need to be able to punctuate correctly but also use the vocabulary singular and plural noun. They have completed their learning on money and fractions and next week move on to time and measures. We will be seeing how tall our bean plants have grown since they were planted! 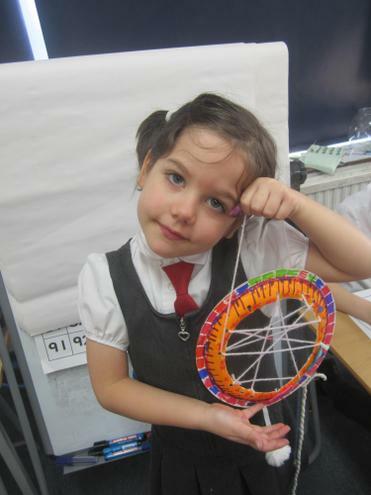 The children have enjoyed exploring and investigating during science week. They have begun to think about the new unit on plants and have set questions that they would like to find out about such as why are there so many different coloured flowers? Year 2 will be visiting the Herstmonceux Science Centre on Thursday 25th April. There will be further information following soon. Well done to our confident classes who shared their values with the congregation on Wednesday at All Saints, delivering a worship on Forgiveness and Consideration. We were very proud of all the children and grateful that so many of you came along to support them. Please see the head teacher’s newsletter for a more in depth evaluation. 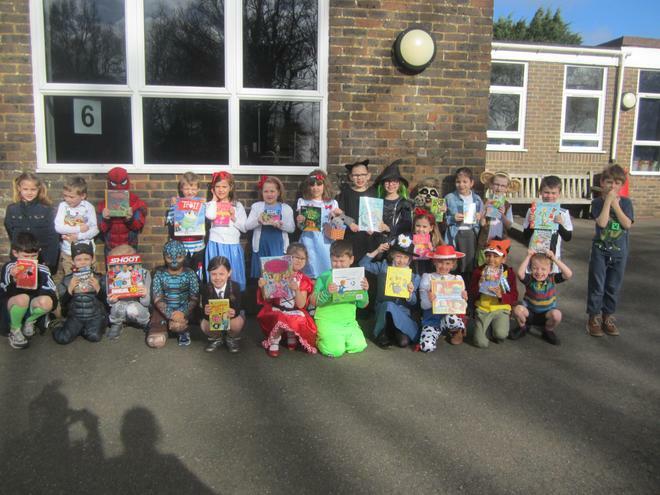 We celebrated World Book Day on Thursday with some amazing costumes and activities such as “Stop, drop and read” which the children participated enthusiastically in. In our English lessons they have continued to retell traditional tales and enjoyed writing their own versions after planning the sequence of events using a story map. They also used the ‘story book’ phrases and vocabulary that they had collected when reading this week to make the sentences interesting for the reader. Next week will we be looking at two different versions of the Jack and the Beanstalk fairy tale: the traditional one and Jim and the Beanstalk by Raymond Briggs. You can support your child by sharing any versions that you have at home or just retelling them verbally together. In maths the children have been finding fractions of amounts and relating this to their multiplication knowledge. As discussed at consultation evenings we are introducing a new way to learn their times tables with an online app called Times Tables Rock Stars. 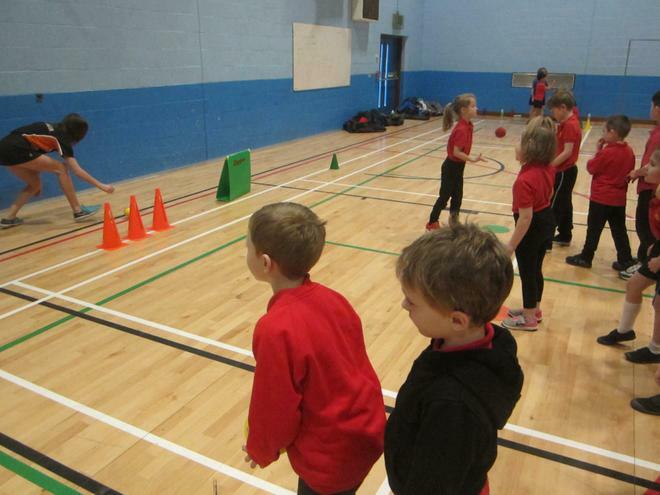 The logins will be sent home very soon so that the children are able to access it anytime and compete against friends in the class. Please speak to you teacher if you need further information about this. Year 2 have completed their science topic of healthy living and enjoyed learning about ways to keep clean this week. We spoke about brushing teeth, regular bathing, washing clothes and most importantly how to wash your hands properly. They sequenced pictures and wrote about how essential it is to have good hygiene. They then reflected on all their science learning this term and found out how many new facts they have learnt about living things, eating healthily and the importance of exercise among others. Thank you to all the children who brought in puppets to examine, in preparation for designing and making our own puppets. We are focussing on this for the rest of the term, so please send more in if they haven’t shown theirs already. We are also very grateful for the offers of help with sewing. These lessons will be on a Tuesday afternoon, so just sign in at the office at 1.15 and they will hopefully be very productive sessions! 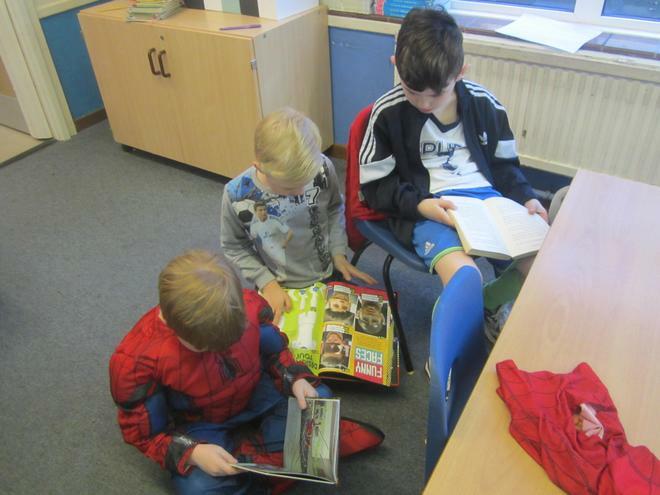 The new term began with an exciting start – there had been an incident in the library! Dusty footprints and hoof prints that were identified as a belonging to a cow appeared overnight and a mysterious bag of golden beans had been dropped. It seemed to be something to do with a traditional tale as the book had been left open too. The children were so excited when they went to investigate and were able to predict what might have happened over night. Then strangely a giant beanstalk appeared on Wednesday. 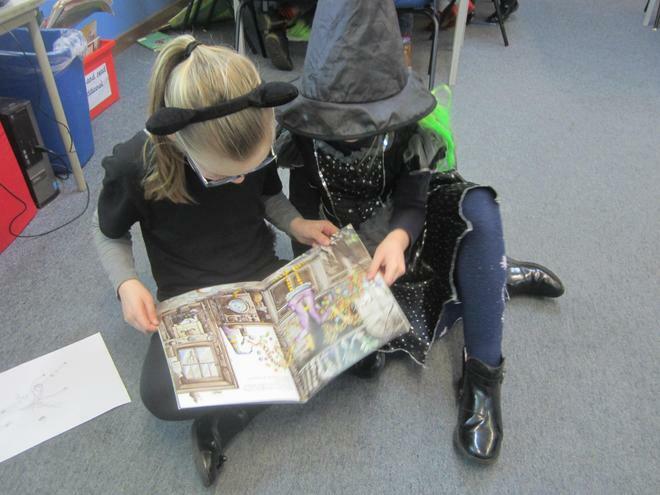 They were able to write a recount about the event and it inspired them to start thinking about other traditional tales too. 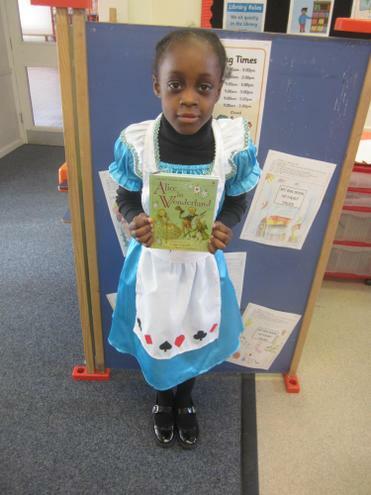 In English this week the children wrote a recount about the library incident and were then inspired to read and retell other favourite traditional tales using story book language. Some of them have brought in their own books to share which is lovely, please make sure that these are named. We have also reinforced their previous learning on homophones – words that sound the same but are spelt differently like time and thyme, sea and see. The children have learnt how important it is to eat a healthy and balanced diet and watch some fun clips explaining how hard it is to make the right choice. https://www.bbc.com/bitesize/clips/zrd4d2p They chose foods to stick on their paper plates from different food groups and we had some interesting questions asked e.g. Is yoghurt a protein food? Are oats healthy for you? Next week they are learning about the importance of hygiene. Due to the Ofsted inspection we were unable to organise a home learning task this week but will begin again on Wednesday. If your children would like to work on something in the next few days, we have asked them to write a prayer for the Church service on their class value: 2K – Forgiveness and 2J – Consideration. They are also welcome to reflect on their experience of performing at Church with a piece of writing or a picture for our class R.E. reflection books. Year 2’s Church worship is Wednesday 6th March, please come and support us. Early bird intervention groups will run on Tuesday and Thursday but not Wednesday next week due to church. Don’t forget it’s the FoFS Pancake Flip on Tuesday and World Book Day on Thursday. Please sign up for a consultation meeting if you didn’t have one booked for last week. 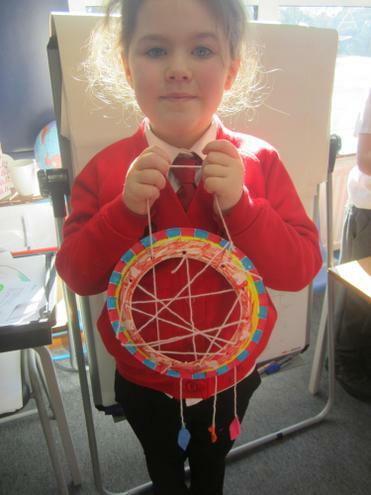 The BFG topic ended this week with a fabulous finish making dream catchers. 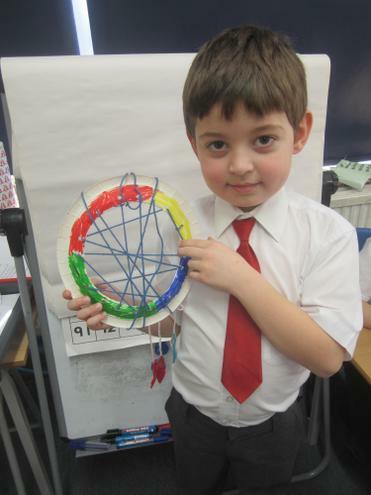 The children had to design, thread, cut and make it with a little help but they are very proud of their creations. 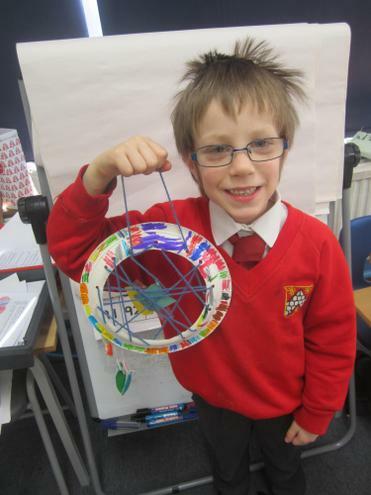 If your child hasn’t brought it home then it is going to be displayed in our shared area for a while. We hope you enjoy the photographs of them. In English this week the children have written nonsense poems. First they wrote their own version of On the Ning, Nang, Nong and we explored rhyming words by changing the initial letter. Then they moved on to creating an imaginary poem about what items would be found in a giant’s rucksack. They thoroughly enjoyed making up words and items such as a crownge to wear on your head, a jib jab to bash other giants with and a warmy to snuggle up in at bedtime. In maths the children have continued to representing and analyse data. They completed a favourite flavour ice cream block graph and asked and answered questions about their data. They enjoyed investigating how many different variations of ice cream cone they could have using 3 scoops or either chocolate, strawberry, mint and vanilla. 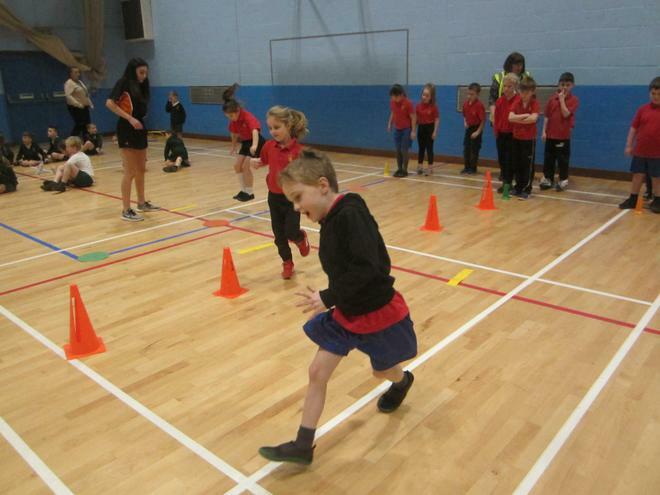 Today the children enjoyed investigating the importance of exercise and its effects on their bodies. We chose some different exercises to perform in a minute and recorded the information in a table to discuss. 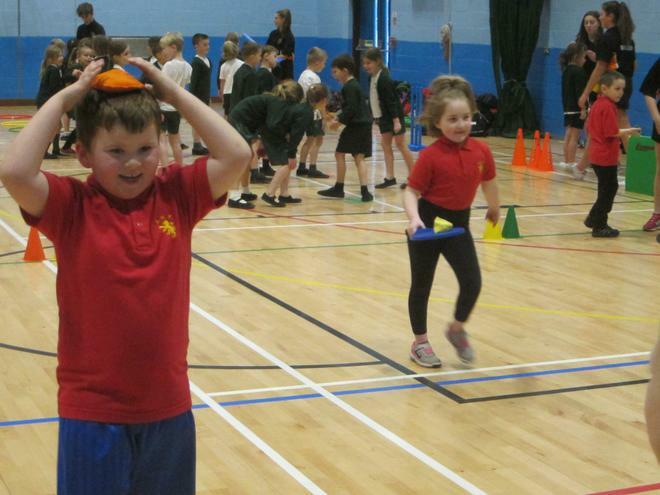 There were many red faces but they all understood ways to keep fit and healthy through exercising their bodies and engaging in sports activities. Year 2’s Church worship is coming up on March 7th. Please come and support the children. Early bird intervention groups will continue running during Term 4 as they have been. Please check the email from the school office about the change in entrance and how to report your child’s absence if they are ill on the days that the intervention groups run. In English the children have continued to learn the terminology of grammar. The children need to be able to identify a noun phrase, an adjective, a verb, the tense and a compound word as well as others. So this week we have been spotting and learning about compound words in our handwriting and reading. Compound words are those that have two separate words written as one such as “playground”, “cupboard”, “anywhere” and the children are beginning to understand how they are different to contractions such as didn’t, wasn’t, haven’t. You can support them by spotting both these within their reading books. We also began a short unit of poetry to develop their enjoyment of rhyming words and be able to recite their favourite poems. We are looking at humorous poems and tongue twisters. 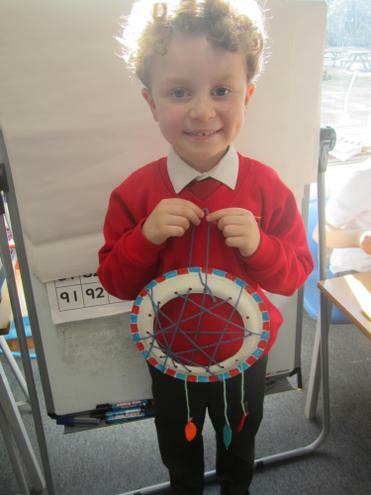 In maths the children have been working on collecting and representing data. They completed an ‘Internet Safety Day’ related data collection task and made tally charts. They used the data to ask and answer questions and we talked about how data is used in everyday life. The children are also reinforcing their knowledge of money and practicing how to add up a variety of coins to get a total. 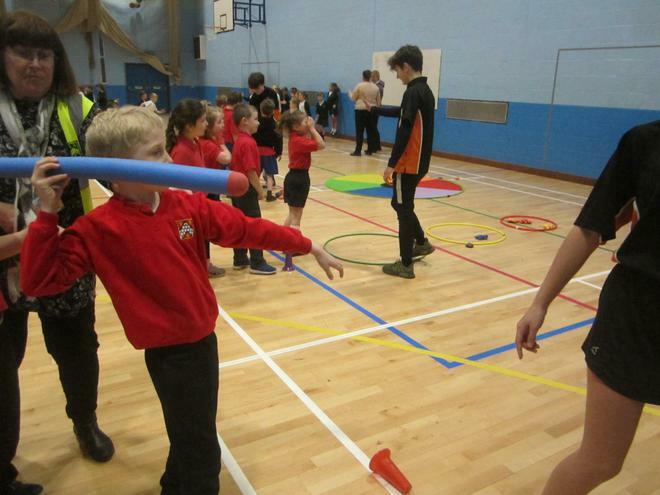 Year 2 were lucky enough to have a visit from the Kent Schools Health team. The ladies taught each class how to live a healthy life and covered the subject of where food is grown around the world as well as keeping fit, keeping healthy through good hygiene, healthy eating and drinking lots of water. 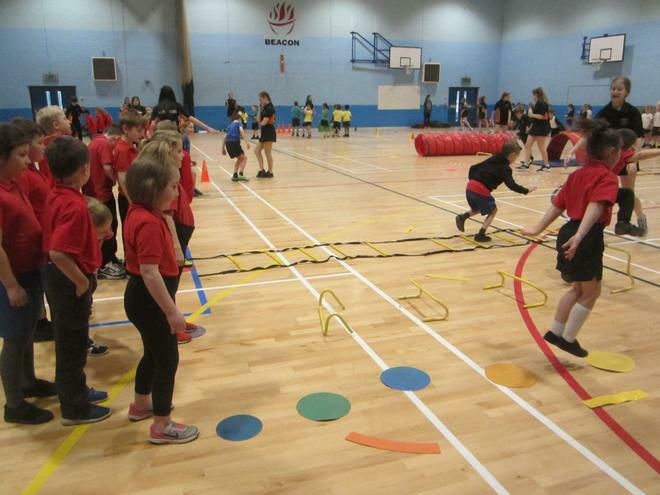 The children joined in their activities with energy and imagination, rowing a boat to China to pick rice in the paddy fields. 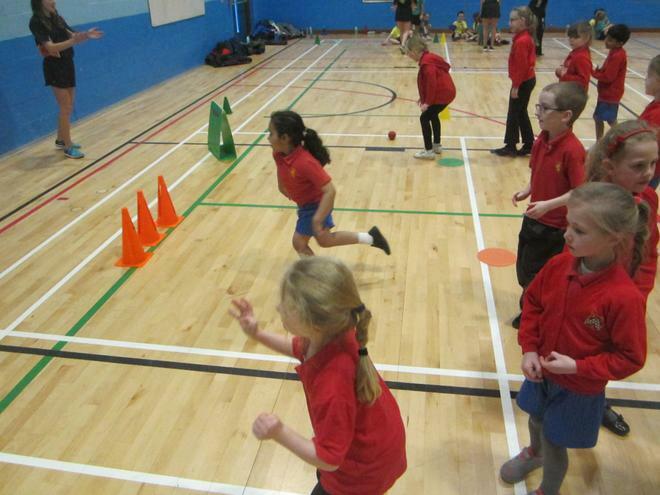 They learnt about the “eat well plate” which will be consolidated through the Year 3 curriculum and talked about avoiding too many fats, salts and sugars. 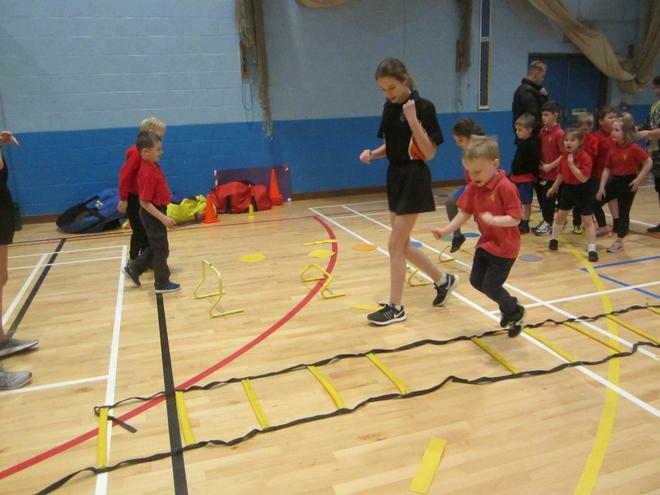 The team will return on Tuesday to deliver a worship about good sleep habits and you should have received a leaflet on a possible ‘healthy lifestyle’ after school club that they hope to run. Please contact them if you are interested as it will only run if they get enough response. Mental Health awareness week is running until 11th February and we will be discussing some of the basic issues in our class circle times. What a busy week! In English we have completed our descriptions of imaginary giants using expanded noun phrases, words with suffixes and similes. We are also assessing that the children are becoming more confident using the vocabulary of grammar: nouns, adjectives, suffixes, root words and verbs. Next week we begin a short unit of poetry to develop their enjoyment of rhyming words and be able to recite their favourite poems. In maths the children are becoming more adept at counting in steps of 2, 5 or 10 or as we call it “skip counting.” We can definitely see an improvement with rapid recall of tables facts – keep up the practice. Next week we move on to data handling and being able to ask and answer questions about different ways of representing data. They will learn about tally charts, pictograms and bar charts. The children enjoyed matching baby animals to the adult species and we learnt many new names such as a baby gorilla which is an infant and a baby rabbit which is a kit. They were also able to describe the animals using words with suffixes such as bigger, smaller, brighter, fluffier etc. We will now talk about how humans grow and learn how to live a healthy lifestyle when the nurse comes to visit on Thursday. Safer Internet Day is Tuesday 5th February and the children will spend all day involved in related activities and learning. Mental Health awareness week is running from 4th – 11th February and we will be discussing some of the basic issues in our class circle times, such as how does anxiety feel and who do we talk to about it. Exploring arrays, multiplying an odd and an even number together. The children enjoyed working collaboratively to produce a timeline of events from Florence Nightingale’s life. We reminded them that there is a picture of Florence included in the Fermor History Wall and that they need to understand that she was working when Fermor School had started during the Victorian period. In English this week the children have described the BFG using expanded noun phrases, words with suffixes and similes. They are going to create their own imaginary giant next week and describe that by writing a detailed description. You can support them by describing family members using expanded noun phrases for them to think about who it is. The board game “Guess who” is a helpful way to reinforce the descriptive vocabulary. We have also been using practice assessment papers to enable us to identify areas for development in reading and maths, so that we can set these as targets and help the children prepare for the SATs “quizzes” in May. In maths we are deepening our understanding of multiplication and reinforcing their skill of quick recall with halving and doubling numbers to 20 and beyond. They also sorted numbers into odds and evens and investigated what happens when you multiply an odd number by an even number. They enjoyed discovering that it was always an even number in the total. Next week we will complete our learning on this concept and move on to data handling. The children have sorted pictures of things that were either living, non-living or had been alive but now were dead. They enjoyed the discussion about whether a table was or had been a living thing at one time and asked many questions. Next week we will continue investigating this concept and go for a hunt around school for living/ non-living and dead things to complete our recording. They will also be matching babies to adults in a wide variety of species. A member of the Kent community health service is coming to speak to Year 2 about healthy eating and other ways to live a healthy life on Thursday 7th January. 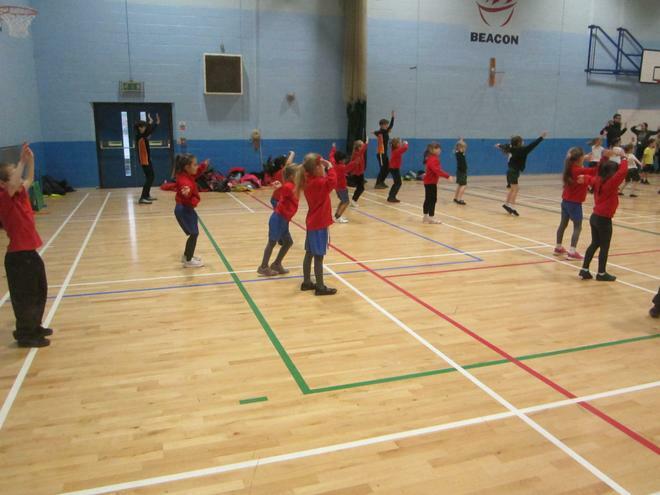 They will also be running a worship session with all of Key Stage 1 this term. The children enjoyed watching a short film about Florence Nightingale and how she improved hospital conditions in Victorian times. 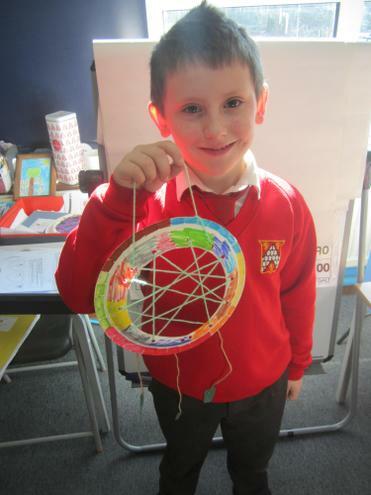 They all enjoyed making a lantern. If you get a chance to visit London you can see the statue of Florence Nightingale that was referred to at Waterloo Place near Trafalgar Square or visit the Florence Nightingale museum at St Thomas’ Hospital. English this week the children have continued to study character descriptions and this time we are learning about words that have a suffix e.g. ing, ed, es, er, est, ful, ment, less, ness etc. They have been spotting suffixes in their reading and using them in sentences. You can support their learning by looking out for these words in the environment or when reading stories together. The children have spellings that are based on these and will begin to understand the rules when adding this spelling pattern to root words. 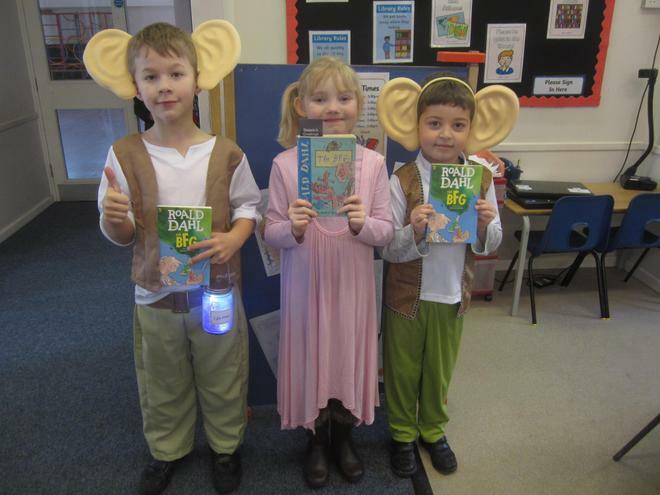 Next week we will be applying are skills to describing the BFG himself – we know that they will thoroughly enjoy that. In maths we are deepening our understanding of division. The children have practiced dividing by sharing and grouping and are now learning to share between two, or halve a number. They need to be able to link multiplication and division facts which we have called “fact families” and begin to recall these confidently. So it would be beneficial to play games where you say a multiplication fact and they give you the corresponding division calculation e.g. you say 4 X 5 = 20, they say 20 ÷ 5 =4, and 20 ÷ 4 = 5. We are also exploring money and shopping problems, please refer to the home learning for more information on how to support them with this. The children watched some video clips about animals and living things to begin thinking about our science topic this term. They wrote statements about what they know already and set questions that they would like to find out about during the next few weeks. We discussed the similarities and difference between mammals and other animals such as diet, birth and their needs for survival. This week we will be further exploring their understanding of what is a living thing and sorting into groups of living, dead and never alive. Early morning booster groups have started running. 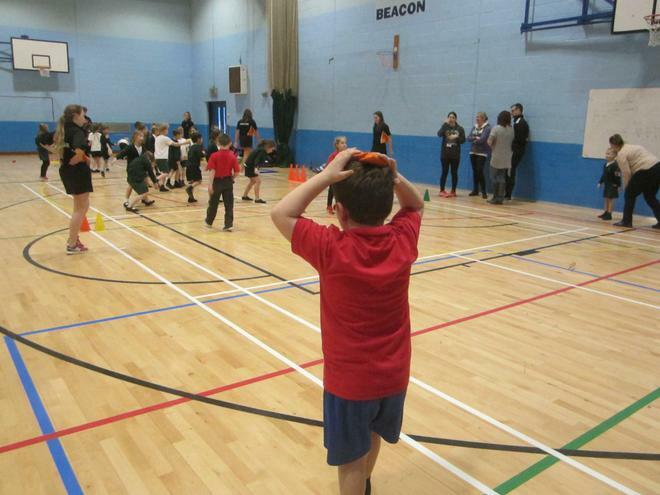 The Multiskills sports festival will take place on Thursday 24th at Beacon for 2K. You should have received information about this already. Please speak to your child’s teacher if you need further details. 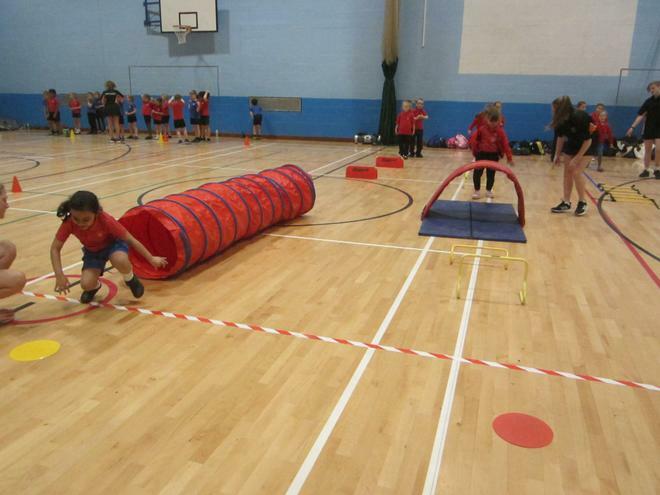 The children thoroughly enjoyed the stunning start activities at the beginning of Term 3. They are all very inspired by our new learning journey and class reader - The BFG and explored the properties of ‘snozzcumber juice’ in our science lesson on materials. They also added to the class doorway display by painting dream jars on translucent paper to look as if they were the jars on the BFG’s shelf. 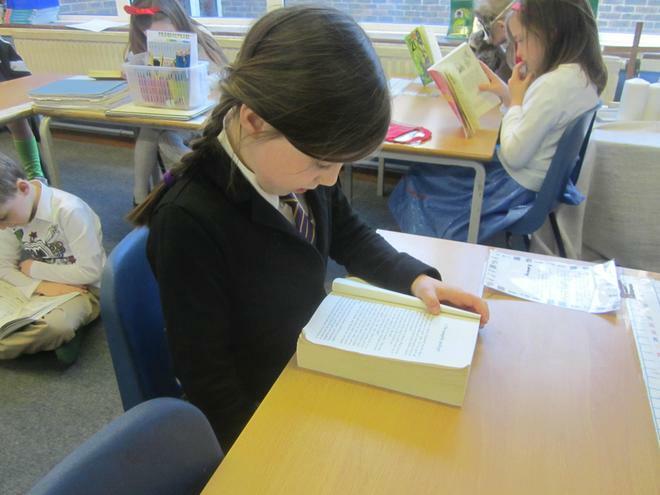 This week the children have begun to read and learn parts of The BFG in their English lessons. They have used ‘Talk for Writing’ actions to memorise the descriptive phrases that Roald Dahl uses to create his characters so well. They are learning to identify nouns and adjectives in character descriptions and worked hard to produce their own expanded noun phrases. You can support them at home by reading stories with good quality character descriptions and discussing words and phrases that capture their attention. Next week we are moving on to using words with suffixes in our expanded noun phrases. This week in maths we have completed our learning about shapes and they used dough to mould 3d shapes with much success. 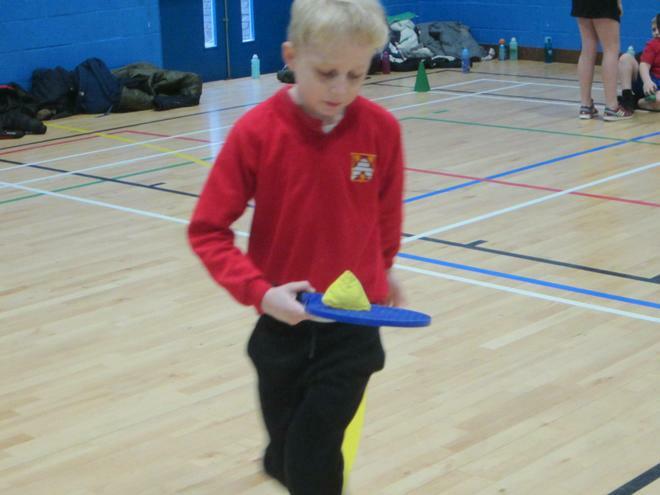 This also supported their science knowledge about the properties of materials and how some can be malleable. We are also learning about money and the children are expected to recognise coins and be able to talk about their value. For instance I know that 10p is more than 2p. I know that 5p and 5p is the same as 10p. I know that 10 pennies make 10p. Please give them opportunities to handle, sort and pay for things with coins to support their learning. Our new science topic is about living things and having a healthy lifestyle. We have set up a ‘clinic’ in the role play area. If you have any unwanted toys that would be appropriate for them to use in the role play such as a doctors kit or an old pair of bathroom scales we would be happy to borrow them for this term. Similarly, we are learning about the life and work of Florence Nightingale. If you are a nurse or work in the medical profession, it would be lovely if you could come in to talk to the year group about your role. Early morning booster groups have started running. Please speak to your child’s teacher if you received a letter but your child hasn’t begun attending them yet. The Key Stage 1 Performance was a total success and we hope you enjoyed watching it as much as we enjoyed performing it! Many thanks for your support and the wonderful costumes. 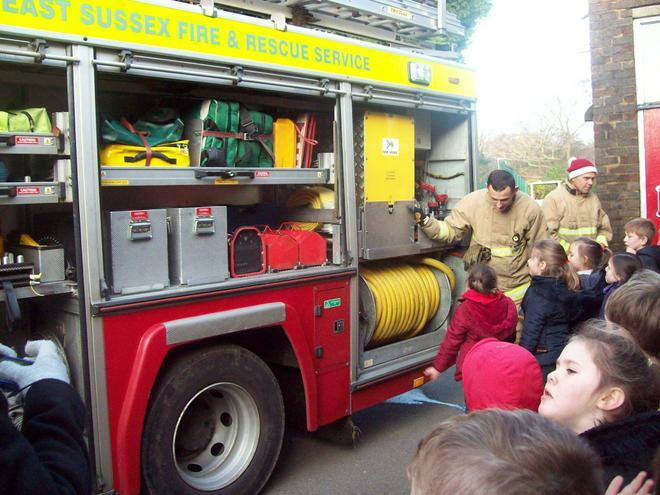 Our fabulous finish took place this afternoon, with our Great (little) Fire of London happening on the Key Stage 1 playground with the help of the Crowborough Fire Service, who entertained us for over an hour. A big thank you to the courageous children who gladly gave up their beautiful models to be burned. It was a great success and we were glad that there wasn’t a strong wind as there was in 1666. 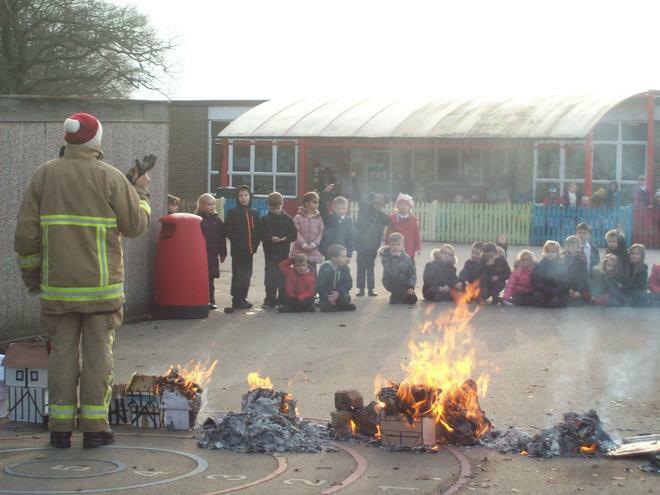 The Fire fighters spoke about safety in the home and what to do in the event of a fire. There will be leaflets coming home about this soon also. This week the children have travelled back in time to 1666 and used their knowledge of the fire of London to write a diary extract. Throughout the week they reflected on previous learning and watched clips to allow them to effectively plan write and edit their extracts. Using their senses to try and imagine what it might be like and how they may feel if they were living in London at the time of the fire. In phonics we have having been looking at tricky words: Mr, Mrs and Christmas. We have had a focus on the ay, u_e and ir phonemes looking at words containing these. As a class we practised how to sound out and blend these words, taking the opportunity to improve our handwriting by copying some into our books. This week in maths we have continued learning about shapes and can now identify properties of 3D shapes using the correct mathematical language. In other maths lessons the children have been linking multiplication sentences to repeated addition and arrays. 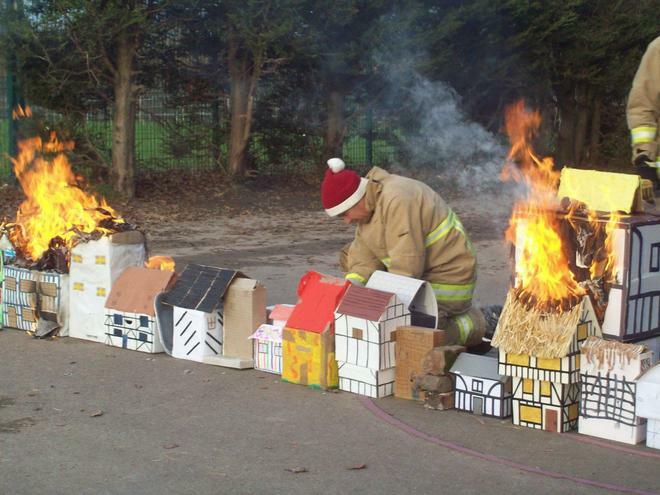 This week we predicted what would happen when we used firebreaks made from different materials in our Great (little) Fire of London. We used metal, bricks and a metal tray of water to see which one would be the best fire break. We will be writing up our observations next week. We have also applied our knowledge of habitats making calendars and independently placing the animals in the correct habitats. There will be an end of term Church service on 19th December at 9.30 which you are welcome to attend, however the children are dropped at school first. 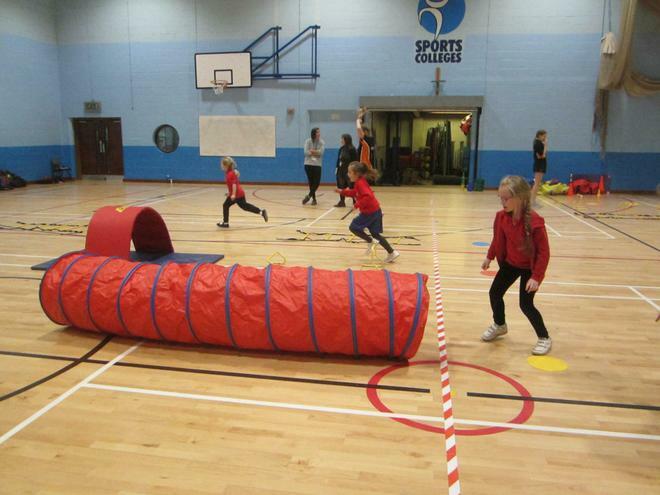 Early morning booster groups will be running next term. There will be letters out informing you which children are invited before the end of term. The Key Stage 1 Performance is coming along well and all the children have learnt their lines. We are now just encouraging them to use a ‘teacher’ voice when performing so all the audience can hear them. 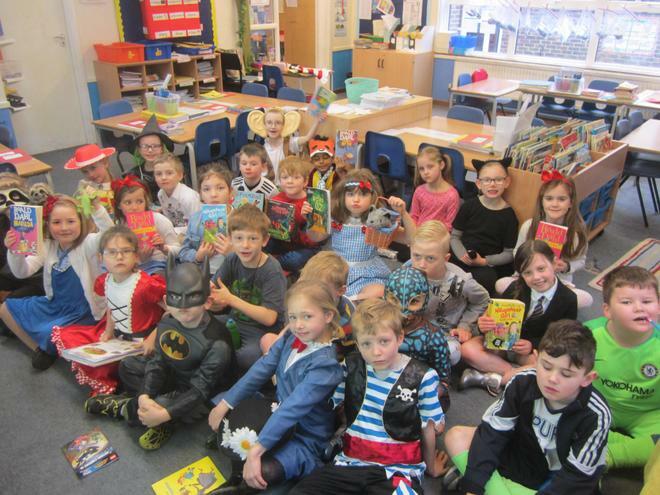 Thank you to parents for their costumes and for your patience with the system of booking tickets. Final ticket numbers will be confirmed on Monday but all families will at least have 2 tickets on their preferred day. 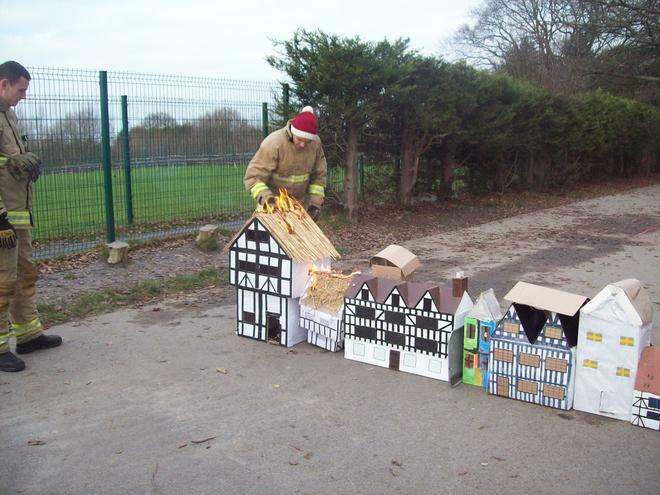 Our fabulous finish of the Great Fire of London will take place if weather allows on Friday at 1.30 when the Crowborough Fire Brigade will be helping out with the burning of the model houses. We will take lots of photographs to record the event! 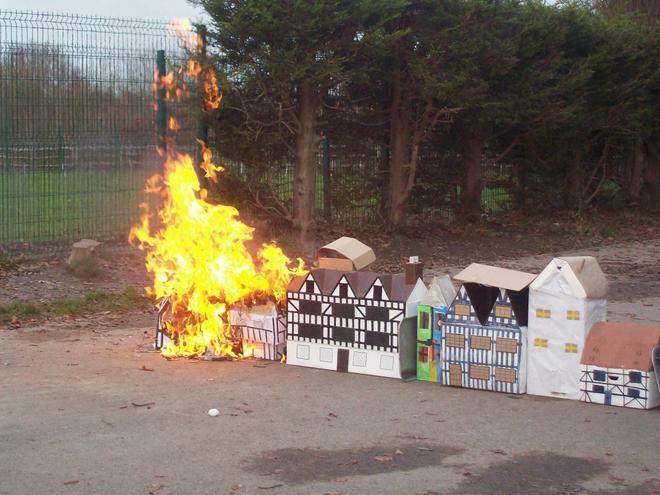 This week the children have read different stories about the Great Fire of London including one told by a swan! They are developing their knowledge of the events that happened during the 5 days and we have also discussed fires that have happened in more modern times also such as the Grenfell disaster and the recent Californian wild fires. We have been able to reinforce the skill of identifying verbs and spelling them correctly depending on whether they are in the past or the present tense. They are beginning to recognise the suffix ‘ed’ and learning how to add it on to the root word e.g. walk - walked, chat - chatted. 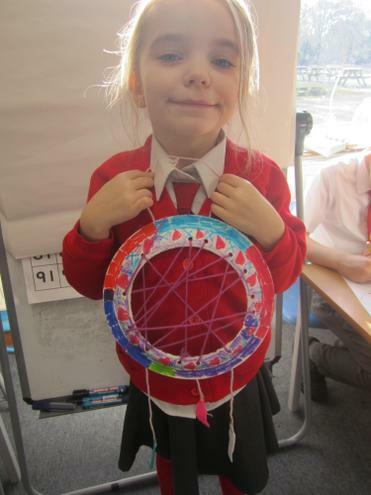 This week in maths we have continued learning about shapes and can now identify 2d shaped faces on 3d shapes. In other maths lessons the children have been linking multiplication sentences to repeated addition and using their knowledge to solve word problems involving multiplication. A year 2 objective is that the children can spell all their number words correctly and we have assessed them on this during the week. Your children will be bringing home a list of the ones that they are not able to spell and you can support them by practicing these at home. We will assess them again after Christmas but if they can spell them by the end of this term that would be even better! We will be sending home weekly spellings in Term 3 on wards anyhow. This week we investigated waterproof materials to see which would be the best choice to make a bucket out of. We will talk about fire proof materials too and use fire breaks while burning the houses next week too. 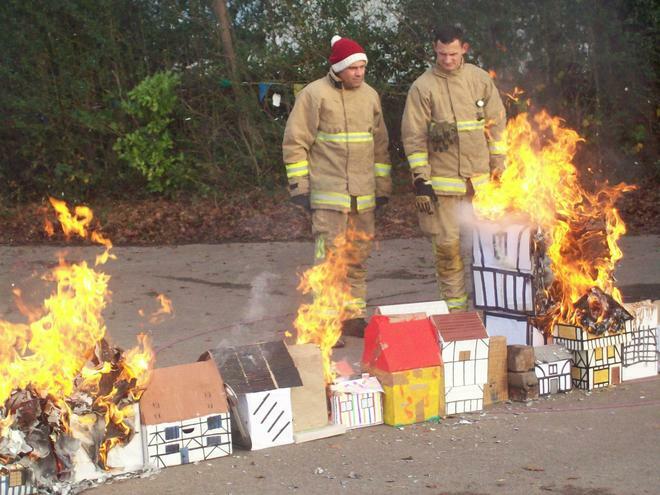 The 1666 model houses that have been made for home learning are absolutely amazing. 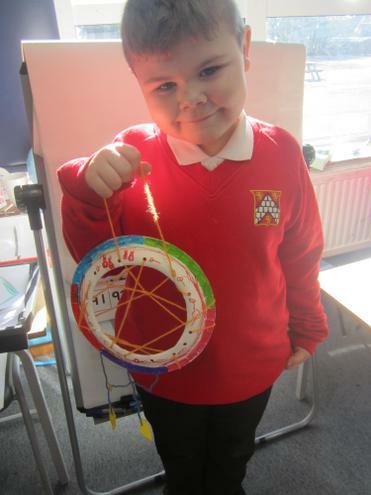 The children have spoken about them with much pride and the amount of time and effort has been well worth it! We are now very sad that we have suggested they will be burnt! We will obviously give the children the option and have taken a photograph of everyone’s model so that if they do become a pile of ashes, they will have the photograph as a memory. 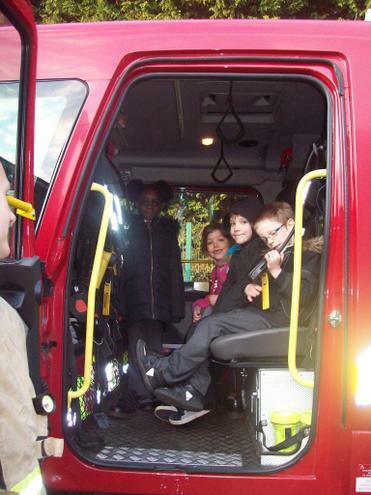 We are hoping that the fire service will be on hand to support us with our planned Great Fire of London event and then the children will have the added opportunity to see a working fire engine also. This week the children have begun writing short diary entries as if they were there at the time of the Great Fire of London. They enjoyed watching the events unfold in two clips https://www.youtube.com/watch?v=Er3GKw8Z3R4 and https://www.youtube.com/watch?v=VarSSAwiimU They have practised writing verbs in the past tense and spelling the days of the week correctly. As this is a Year 1 objective, it would be helpful if you could practise ordering and spelling the days of the week at home also. This week we learnt what is a waterproof material and the properties that this has. Next week we will be testing materials to see which is the most waterproof. They have been set the challenge to find the correct material to make a bucket out of instead of the leather buckets that were used to fight the Great Fire of London. We are well into Christmas rehearsals. 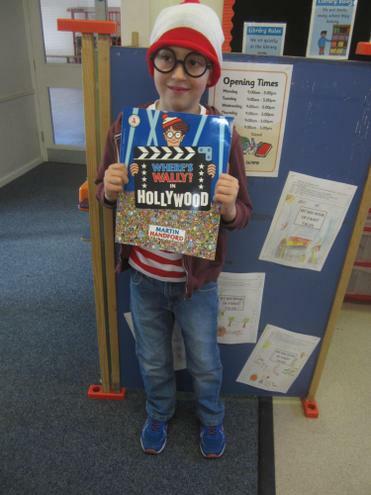 A big well done to those children who have already learnt their lines off by heart and to those who know all the songs! You will be able to book the remaining tickets for any extra family members to come along to the performance on Monday morning. The children have enjoyed sharing their model houses that have already come in for home learning; there has been so much hard work put into them, thank you for your support. They only need to be returned by Wednesday and we will make a display of them, as if it is Pudding Lane before the Great Fire begins! We have discovered more about the timeline of events for the Great Fire of London, such as how in 1665 there was an epidemic of the Great Plague and that the fire helped to stop this getting any worse. They asked and answered questions about how the Plague was spread, what the awful symptoms were and why the Plague Doctor’s wore a mask with a beak on it. 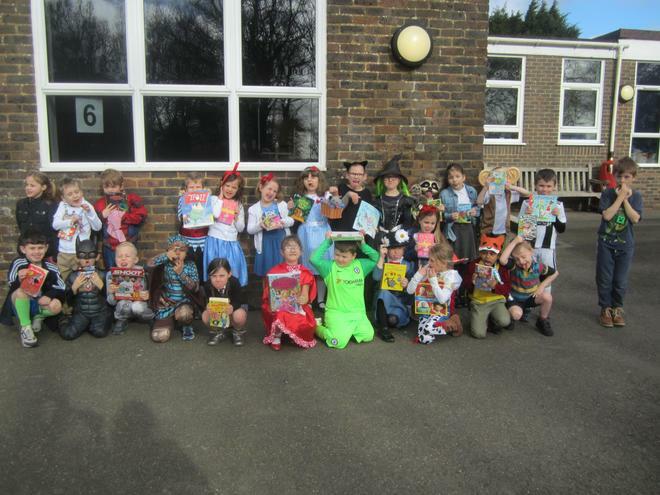 This week the children enjoyed sharing their books at the book look. In English we have begun looking at the features of diaries to link with the historical source that is Samuel Pepys’ Diary. Next week they will practice writing verbs in the past tense and have a go at writing a simple diary entry for a fairy tale character. This week the children used their skills of addition and subtraction to solve word problems. We discussed why maths is important in real life and how adults have to solve problems every day, such as buying food, weighing things etc. Today the children had a go at writing their own word problem too for a friend to solve. You can help your child by talking about the maths problems that you solve every day using vocabulary such as more than, fewer, how many altogether or how many are left so that they understand when to use an addition or subtraction calculation. This week we have sorted objects into sets of materials. We looked at manmade and natural materials and how coal and diamonds are both derived from the same natural element of carbon but have very different properties. We will begin to talk about fire retardant materials and what we could use as a fire break when we simulate our Great Fire of London investigation. We have begun rehearsing the Christmas performance – please help those children who have lines to become familiar with them as soon as possible. Don’t forget, its tree planting on the school field tomorrow from 9.30. 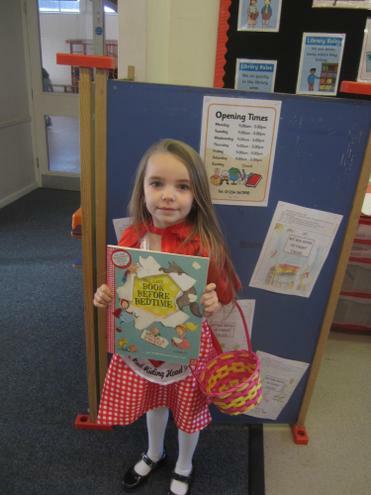 We loved supporting Children in Need with our spotty own clothes! 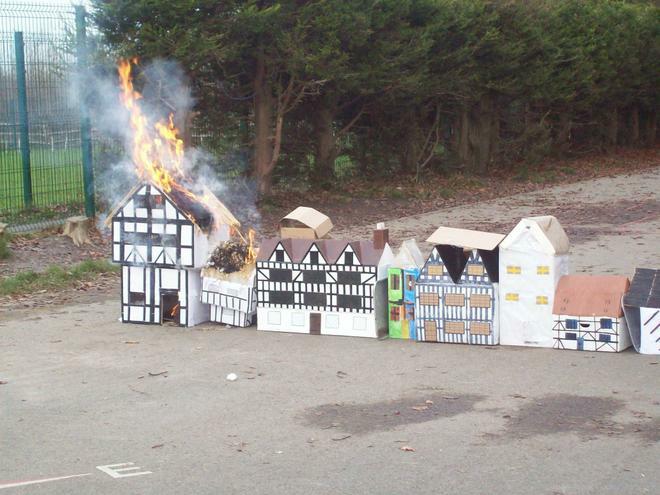 The children have enjoyed learning more about the Great Fire of London and used this to support their writing this week. They have also discussed what they already know about our science topic of ‘Materials and their Properties’ and many have set questions to research further. You can support your children’s learning by sharing non-fiction texts about materials or using the internet to find out more. 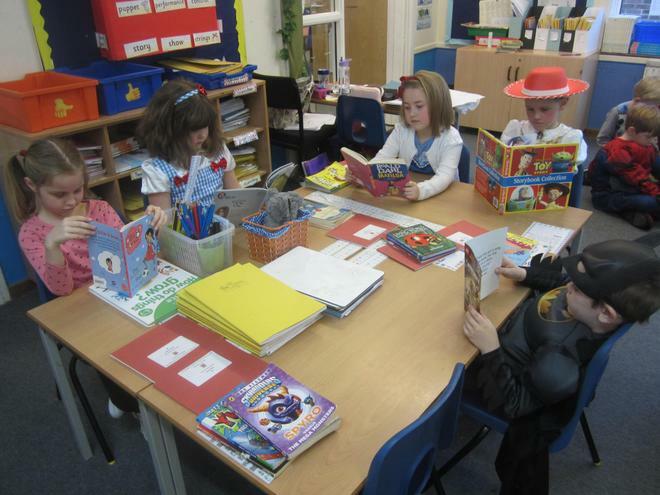 Please send in any non-fiction books that are relevant to any of their learning this term, children enjoy sharing their findings with the rest of the class. This week we have been completing our work on instructional texts. They have made use of a plan to sequence instructions before writing them down and they have all engaged enthusiastically in the assessment task of writing their own piece about making a model house. This week the children have learnt more about subtraction and have practiced skills such as partitioning into tens and ones, finding one more and one less than a 2-digit number and drawing jumps back on blank number lines. You can help them subtract a 2-digit number from another 2 digit number using a one-hundred square: for instance 36 – 14…first subtract ten by simply moving up to the row above and then subtract ones by moving to the left. 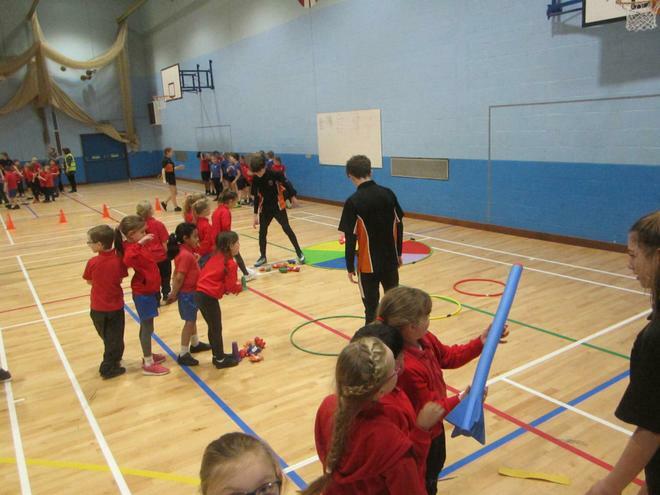 We use https://primarygames.co.uk/pg2/splat/splatsq100.html to support them with this. This week we have handled objects that are made of different materials and begun to ask what is the difference in the properties of the different materials. For example, they have looked at different types of spoons: a plastic medicine spoon, a plastic serving spoon, a wooden spoon, a metal spoon and one with a metal mesh for serving vegetables. Can they describe the differences in material and do they have an idea why they have different uses? We have begun rehearsing the Christmas performance – please make sure that you use the Parent Pay system to reserve your seats as soon as possible and then we will be able to release any extras. 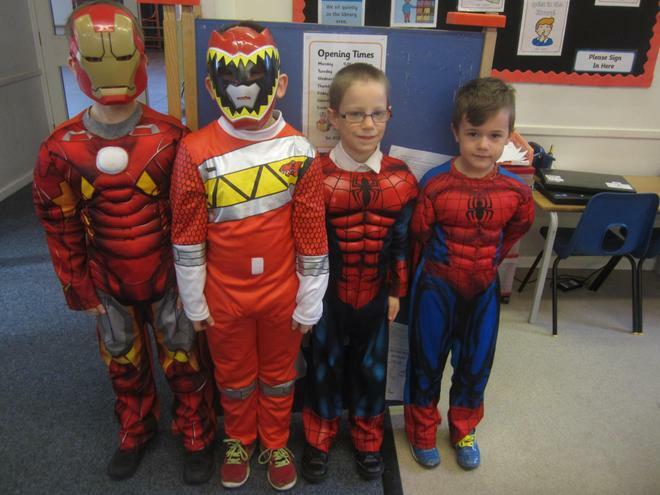 Please speak to your child’s teacher if you have any questions about their costumes. 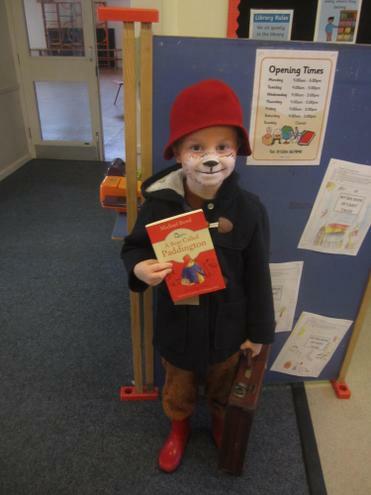 Don’t forget, its a ‘book look’ on Tuesday 20th. See you there! The children enjoyed their stunning start on Thursday this week when they worked collaboratively on creative tasks outside. They collected natural objects to create their own mini bonfires and enjoyed the role play of lighting it, keeping warm and toasting marshmallows! They also created a large collage of a bonfire and as they were outside they could experiment with mark making using a range of items, large paintbrushes, pots of glitter, ripping paper and squirting bottles of paint. They were very careful not to make too much of a mess and we have some fantastic art to show for it. This week we have continued looking at instructions and procedural texts. They wrote lists about the materials that they needed for the art activity and used time conjunctions to sequence firework safety instructions. You can help your children by sharing examples of instructions that you use at home as they will be writing their set of instruction as an assessed task next week. This week the children have learnt how to regroup when adding two 2-digit numbers together using column addition. They have also been shown how other strategies such as counting on a loud using fingers and using a blank number line. They have been spotting 3d shapes on a hunt outside and we will continue naming and describing shapes throughout this term. Please can you support their learning by using the language associated with shapes such as curved, straight, corners, sides, faces, vertices and symmetrical. Just ask if you are unsure how and when to use these terms. Next week we will be beginning our learning about materials and their properties. The children need to ask questions to support their investigations such as “why are shoes made of leather and not paper?” “Why is glass used for windows?” “Why did the houses burn so fast in the Great Fire of London?” If you have any related non-fiction books at home, please send them in to share with the class. The Christmas performances will be in the afternoon of Thursday 13th December and the morning of Friday 14th December. Some of the children with the longer speaking parts will have received highlighted parts of the script already. This is so that they begin to be aware of what their lines are. Don’t worry, we don’t expect them to be learnt by Monday! If you and your families are available to come and adopt and/or plant trees on the school field, please come and join the tree planting event on Saturday 24th November from 9.30. 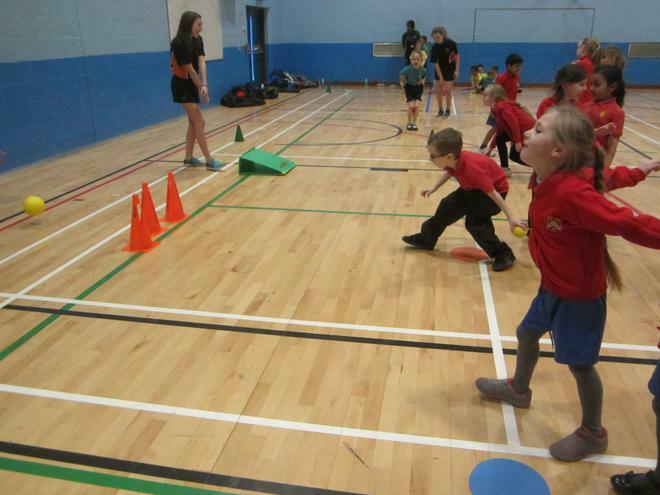 The learning journey this term is “Fire, Fire!” which we will be starting next week with a bang! The learning will include finding out about the Gun Powder plot, the properties of materials and the history of the Great Fire of London. This week we have been identifying the features of instructions and procedural texts. We have looked at how this genre uses titles and subheadings along with other layout features such as paragraphs, bullet points and numbers. Next week we will be writing our own sets of instructions about how to build a model house. This week we have completed our learning about habitats; thinking about how we can look after our environment and not waste resources or pollute our world. 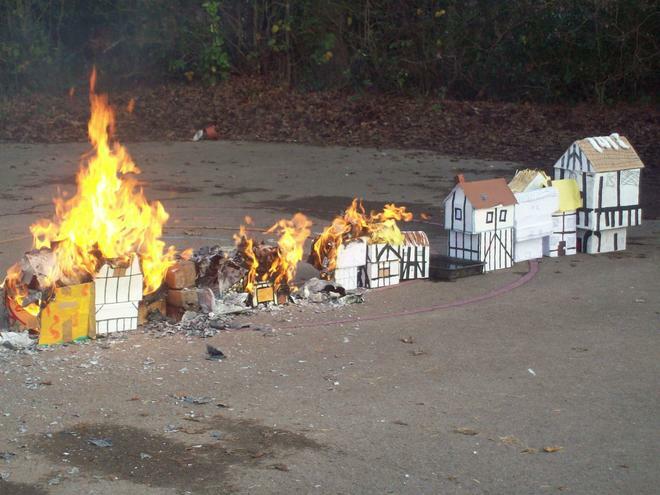 Next week we start our new topic looking at the properties of materials, especially thinking about why the houses burnt so well in the Great Fire of London. Please start saving recycled modelling materials for the building of model houses later in term. We would also be grateful for any washed plastic bottles so that they can create poppies for our WW1 Remembrance Centenary display. Look out for any painted poppy pebbles around Crowborough during the weekend! Christmas performance will be Thursday 13th December and Friday 14th December. We have begun to cast parts for the children and they will receive their script if they are having a speaking part next week. 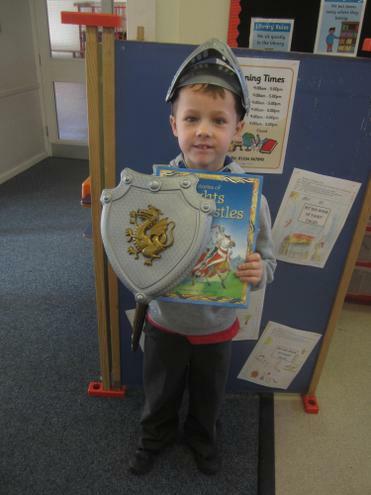 The learning journey this term has ended with the children enjoying our fabulous finish of all things Scottish! We have danced reels and ‘Stripped the Willow’ in our Ceilidh and tried tasty treats of oat cakes, shortbread and ‘perkins’. 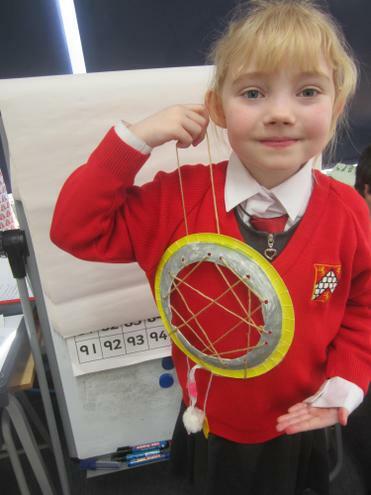 Many of the children brought tartan garments to wear and there was a lot of merry singing about taking the highroad! Next term they will learn about the Gun Powder plot and traditional tales. 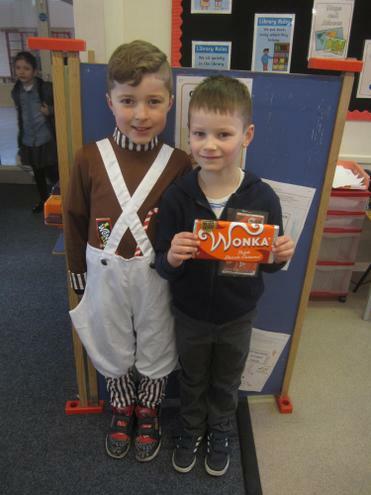 This week we completed our Katie Morag stories and the children are very proud of them. Many of the children have got spellings to learn for the half term as we are now working on editing and improving our writing in class using purple pens to correct the common exception words that Year 2 children need to know by the end of the year. 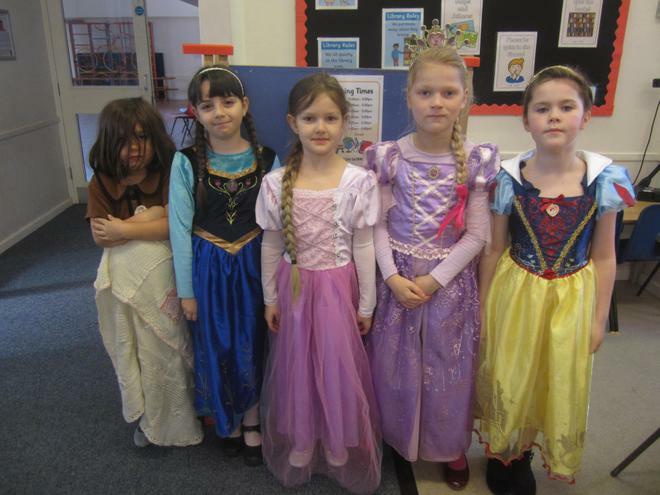 During half term, you could also them to retell any traditional fairy tales as that is our topic for Term 2. This week the children worked hard to spot number bonds to 10 when adding 3 1-digit numbers. We will continue addition and subtraction after half term, so you can help your children by practicing their number bonds to 10, 20 and 100 so that they have quick recall of the facts. E.g. week we continued to learn about the habitats of animals around the world. We will continue learning this during Term 2 as they need to understand how animals adapt to their surroundings for instance with camouflage or developing thicker fur for colder climates. Further information to follow soon. Have a great half term! In our learning journey we have been describing the coast line of Britain looking at aerial photographs and watching film clips. You could support your children by talking with them about the features of beaches such as cliffs, harbours, lighthouses, rocks, jetties. Next week we will be drawing a plan perspective of the school grounds and use directional language to describe routes around it. This week we looked at micro habitats of animals within the school grounds. The children enjoyed investigating and describing the habitats. Why not investigate the micro habitats of the garden or park with a magnifying glass? Will they find the same animals as they did in the school grounds? 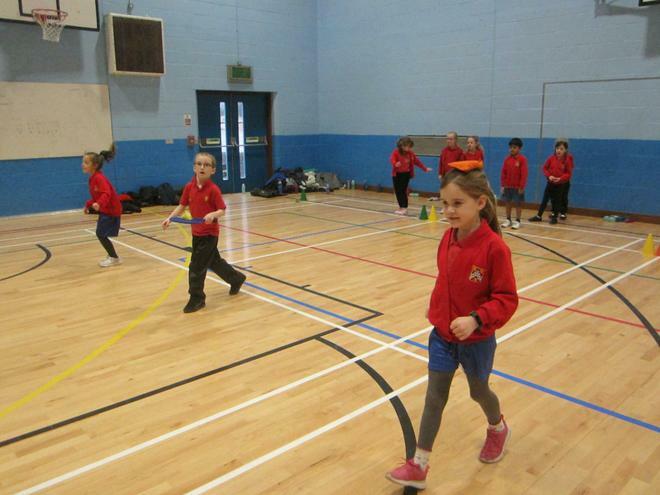 Friday 19th October: Term 1 Fabulous finish – A Scottish Ceilidh. If anyone can play the bagpipes or know someone that does, please let us know! They are welcome to bring an item of tartan clothing with them if they wish but please don't feel that they have to. The children will be tasting some Scottish food so please let us know if they have any food allergies that are not on a medical form yet. We will begin talking to the children about the Christmas performance soon. There will be two performances for you to choose from to attend Thursday 13th December and Friday 14th December. Further information to follow soon. 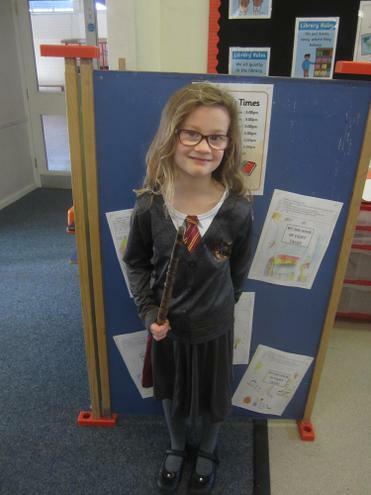 This term we are learning about Katie Morag and the children have been learning about the human and physical features in two different places – Crowborough and the fictional Isle of Struay, which is based on the Scottish Isle of Coll. At the weekend you could explore the local area further to support our learning journey encouraging the children to use the geographical vocabulary to describe the features that you see. This week we have been learning about Katie Morag and Tiresome Ted. Next week we will be re-writing the beginning and middle of the story. At home you could encourage them to retell it or act it out to support your child’s learning. This week we have been learning how to add a 1-digit number to a 2-digit number using a number line and also a tens and ones frame where we draw the tens and ones to represent the number. Please practice this, and ask them about their learning, as they need to be confident with the skills, especially putting the 2-digit number in their heads and counting on in ones. This week we have been learning about food chains and what the animals of Ashdown Forest and Scotland eat. Next week we will be looking at the habitats that animals have adapted to throughout the world. 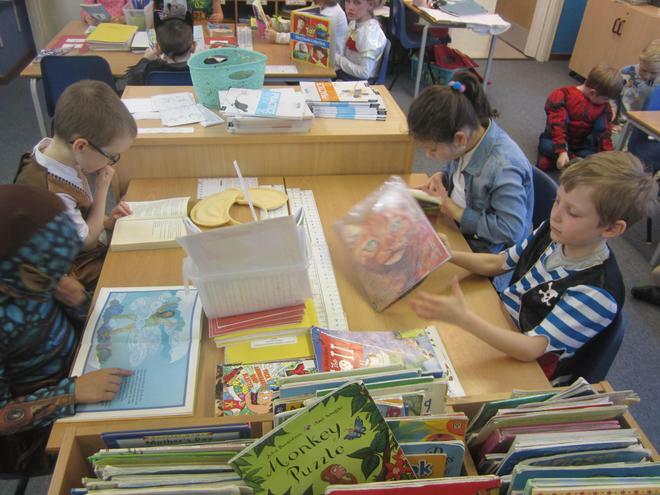 Please encourage the children to explore these habitats in any non-fiction books at home or from the library as well as the internet if they have access. 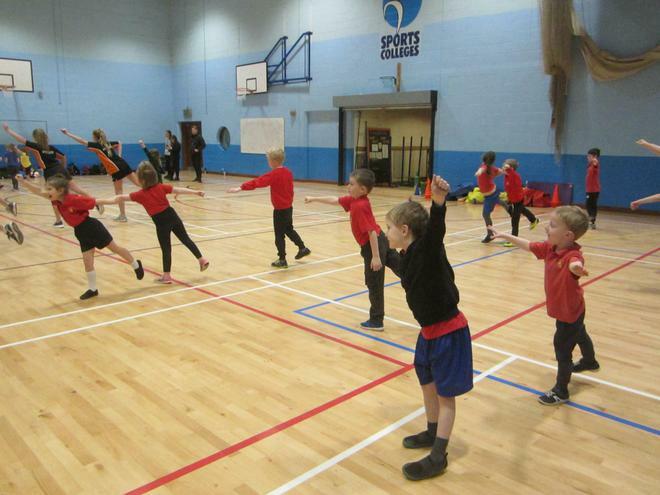 Friday 19th October: Term 1 Fabulous finish – A Scottish Ceilidh. If anyone can play the bagpipes or knows someone that does, please let us know! In English we have been reading the Katie Morag stories to learn about a contrasting area of the United Kingdom. The children have predicted the endings to Katie Morag delivers the Mail and The Two Grandmothers. We have clarified and discovered lots of new words along the way as well as describing the setting and the characters. Why don't you ask your children about any new vocabulary that they have learnt. Don't forget that it is Harvest Festival at Church on Wednesday 3rd October and the children have been painting pictures at school to support their RE learning.